Darnall pictured on the 6th of April 1985, picture courtesy of Michael Kaye. Darnall was probably more known for its engine shed than its signalbox. The shed and 10 tracks opened in 1943 but the building work took seven years to completion due to wartime restrictions. An electrification engine shed was also built in the fifties for the local electrified line for the Woodhead route. 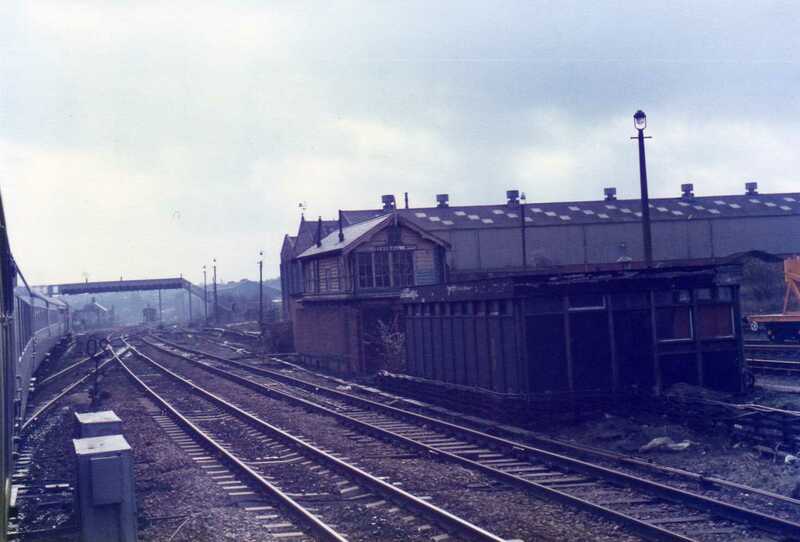 However, the engine shed was no match for the mighty Tinsley Yard, and when that opened in 1965, Darnall was to close. Darnall was one of the first to have a non-staffed station and had a Paytrain service in which you bought your ticket on the train. It was rebuilt in 1928 and had a 'island' platform built, still as today when the track takes a wide berth towards the platform. The name was to also change before the layout changed, as in 1887, the name gained an extra 'L' and was renamed Darnall from Darnal. The station opened on the 12th of February 1849. 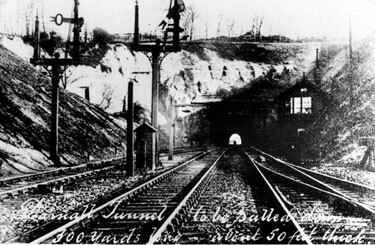 In 1912 the station at Darnall was redesigned to include two goods lines either side of the passenger lines, this involved the removal of Darnall Tunnel (below). 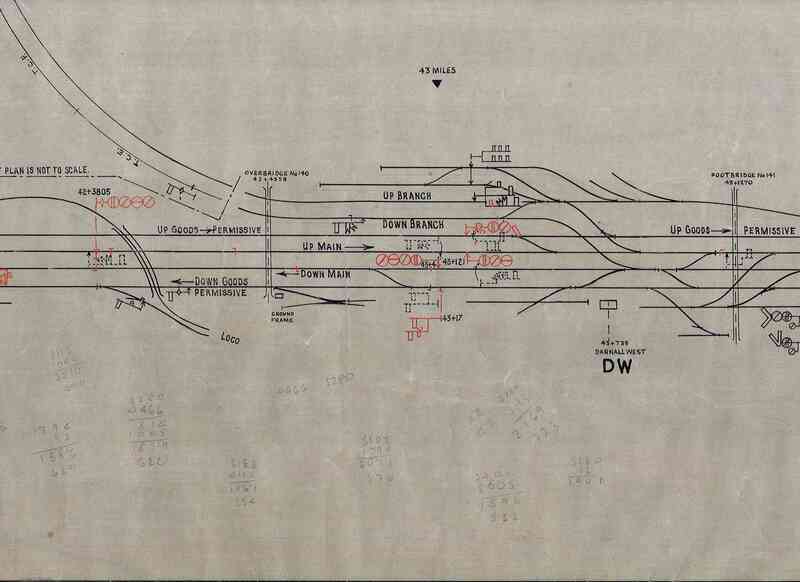 The fascinating picture above shows Darnall West Junction panel in its former glory showing its two mainlines, two goods lines and links to Tinsley. A seperate flyover line from Woodburn Junction was provided into the engine shed. Diagram provided by Andy Rush from the 'Industrialogical Associates Collection'. And the picture above shows the 'blueprint' of the area gearing up for colourlight signalling. The flyover from Woodburn now visible on this diagram. 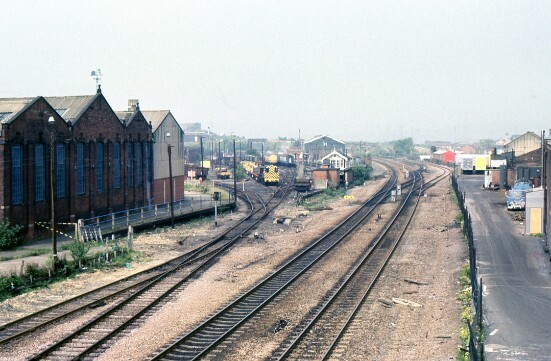 Darnall mainline and entrance to engine shed pictured on the 26th of May 1987, today all this apart from the mainlines are gone. The lines are through routes only and no points exist. The area is controlled from Woodburn Jn signalbox. Picture courtesy of Dave stones.